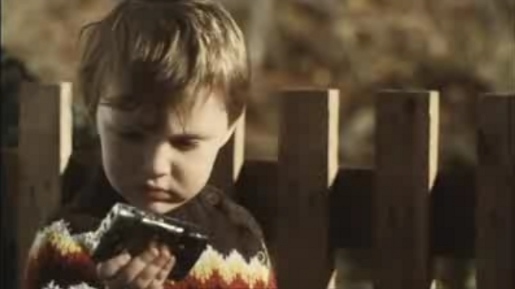 The Olympus Mju 790 digital camera is shown to be almost shockproof and waterproof in a TV advert in which a boy and his dog play fetch. The camera survives bouncing along the deck, down the steps, over the fence into the compost, and finally a dousing under the tap. The Olympus Toddler advert was created at The Red Brick Road, London by creative director Justin Tindall and agency producer Karli James. Filming was shot by Dougal Wilson via Blink, London, with director of photography Nanu Segal. See other ads directed by Wilson: JC Penney Heart and Big Yellow Storage Tide.